The color of Mars is due to the iron oxides (rust) on its surface. 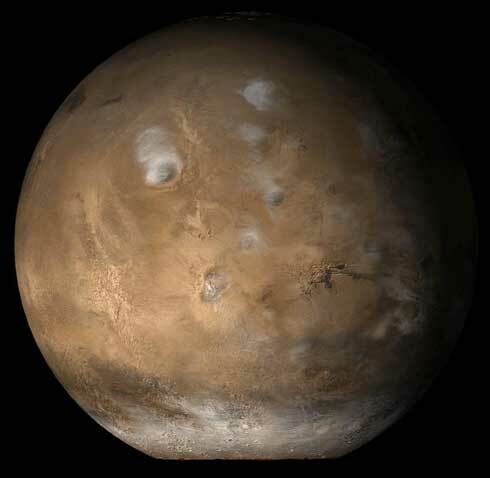 Mars is home to Olympus Mons - the tallest mountain and volcano in the solar system. The two Martian moons Phobos and Deimos were discovered in 1877 by American astronomer Asaph Hall. There are some great photographs of Mars at the Mars Art Gallery.